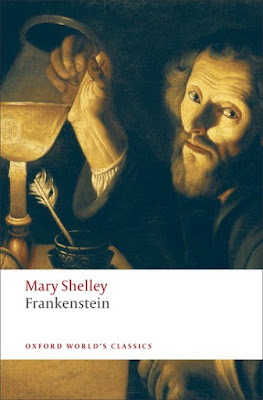 Goodreads Description: Mary Shelley began writing Frankenstein when she was only eighteen. At once a Gothic thriller, a passionate romance, and a cautionary tale about the dangers of science, Frankenstein tells the story of committed science student Victor Frankenstein. Obsessed with discovering the cause of generation and life and bestowing animation upon lifeless matter, Frankenstein assembles a human being from stolen body parts but; upon bringing it to life, he recoils in horror at the creature's hideousness. Tormented by isolation and loneliness, the once-innocent creature turns to evil and unleashes a campaign of murderous revenge against his creator, Frankenstein. My Review: Frankenstein was an assigned reading for my college class, and being the masochist that I am, I decided to throw a review out there as well. Frankenstein was on my list of Classics That I'll Read Someday, so reading it for class was super productive. One less book off the never ending TBR list. Like many out there, I didn't know a whole lot about Frankenstein before I began, aside of course from the things pop culture has taught me: Victor Frankenstein was an old, crazy, white-haired scientist, his creature was a groaning, drooling, bolt-in-the-neck kinda monster, and there would definitely be villagers with torches and pitchforks chasing the creature into the night, this I was absolutely sure of. But pop culture led me astray again, for none of these things actually happened in the book (although there were some villagers with torches chasing off the creature, but it was one sentence in the middle of the book, more the response of walking into the wrong change room than the dramatic climax of a monster movie). By the time I'd finished the book, I felt a little ripped off. Where were the accurate movie adaptations of Frankenstein? Why had pop culture mangled the story so badly? The book begins far north in the arctic where we meet Walton, a young explorer searching for knowledge and glory. Out in the wilderness he discovers a man, frozen half to death, and when he revives him the man tells Walton that he was once young and ambitious, and sought out knowledge and power over nature, just as Walton was doing. After a few days of kindness, the man decides to reward Walton with a story: one of warning, hoping to save Walton from falling prey to the same fate as the old man. And so we realize the old, weathered man is Victor Frankenstein as he tells Walton, and the reader, the story from his birth to what led him to be old and dying out in the wilderness, still desperately searching for the creature who destroyed his life. First off, the prose is spectacular! I found myself awed continually by Shelley's wordplay and use of descriptors all throughout the novel. She describes nature so intensely that it's difficult not to feel as though you are out in the wilderness yourself. Being a Romantic writer, Shelley focused on the beauty and terrifying power of nature, and many of the confrontations between Victor and the creature take place in the throes of nature. Although Frankenstein was written 200 years ago, the writing style is not difficult to get accustomed to. It borders the line (at least in my opinion) between modern novels and historical classics. Like classics, the book takes its time to build to revelations, and spends a lot of time on backstory or information that would seem superfluous to modern writers. We start Victor's tale before he's even born and are introduced to his parents and family culture before Victor is even around, which is a testament to how a lot of classic novels tends to linger over every detail. Despite the intense backstory, the flow of action is actually very steady. Like modern novels that tend to get right to the inciting incident and keep pushing with plot and conflict, Frankenstein had a pretty steady pacing and tension that kept me engaged straight to the end. It does have a bit of a slower burn to the tension-- we're not talking thriller level pacing, but it's enough to keep the story moving without losing the reader along the way. The beauty of the story comes down to Victor and his creature. Victor was a wonderful character, and has already become one of my favourites in literature. He is not always likable - as he can be quite depressed and mopey at times, and ruminates on problems that he could (with some work) solve himself. After giving life to his creation, he becomes horribly depressed and heads down a spiral that he doesn't recover from. For some readers, Victor probably comes across as very annoying, especially as he becomes more and more depressed. He does less and less for himself, turns very inward, and generally comes across as a little brat. However, I really connected with this as I feel Shelley accurately portrayed someone with worsening mental health. The creature is an interesting character study as well. He is extremely articulate and intelligent, and seeks to confront Victor with words (at first) rather than violence. As he is driven more into isolation, he becomes more enraged and violent, and yet is shown to be in complete control of himself as he spirals downwards, which we can see through how he doles out the violence against Victor and the world. These two characters mirror each other in interesting ways, so the few scenes where they are together hold a lot of weight and were the most interesting scenes, in my opinion. They are both driven to insanity and violence through isolation, and while Victor isolates himself by choice, he is not as aware of how that loneliness is causing the degradation of his mental health, contrasted with the creature, who is isolated by force, and is aware of how that solitude is slowly wearing away at him. It reminds me of an African proverb: "A child not embraced by the village will burn it down to feel its warmth." The creature knowingly attempts to "burn down the village" of his creator, all out of a short-sighted need for revenge. The creature purposefully chooses to use violence, and plans out how he wants to use it against Victor, as he feels it is the only way to justify his treatment and satisfy his anger. Frankenstein is a rich, Gothic horror tale and one of the first science fiction books to be written. 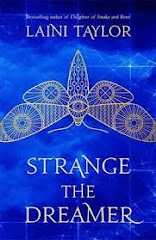 Many readers are disappointed by the "horror" in this book, probably thinking it's going to be something like jump-scares from horror movies or the Stephen King style horror of something's coming to get you. But Shelley's horror is a different kind. She doesn't create a monster that's just waiting in the shadows to get you, instead we find horror in how Victor Frankenstein, a smart, kind boy with so much potential, could take one step too far against nature, create something that horrified and terrorized him, and how he couldn't stop himself from falling for the creature's trap and dooming himself to be a miserable, obsessed man whose only joy in life was to seek revenge for all he'd lost. You're not supposed to be scared of the creature, you're supposed to be scared of how far a sensible young man could have fallen, and how easily, but for the grace of God, that could have been you, or at least, someone you know. TL;DR: 5/5 stars. A classic tale of horror that asks the reader to look at the monster within themselves rather than the one just outside the window.